The direct vent Flatfire can be rear vented. Propane or natural gas. 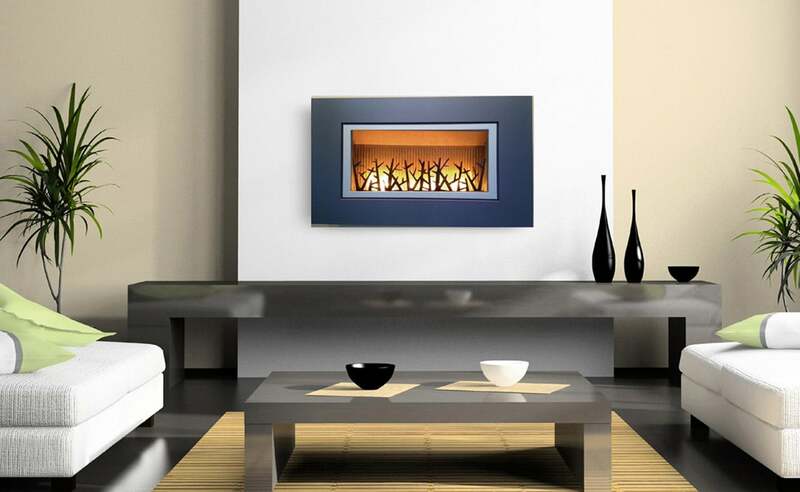 Comes with a multi-function thermostatic remote control. 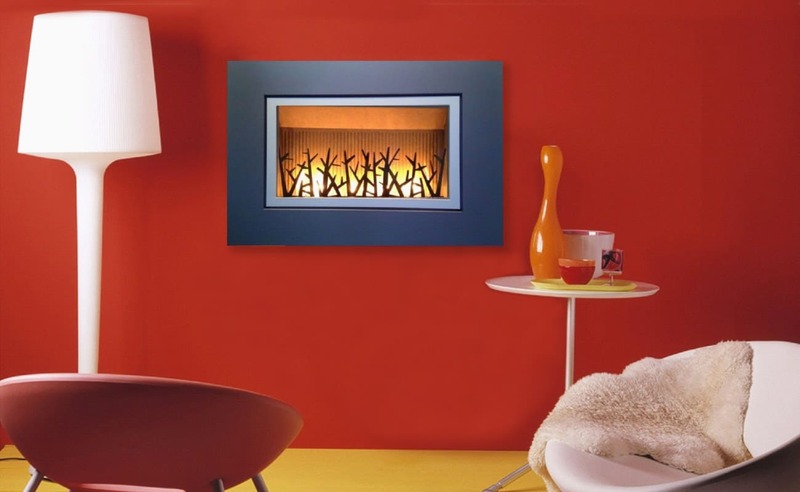 It is available either with a black or silver gray steel frame (42” wide x 30” high), and it heats up to 20,000 BTUs; about 1,000–1,200 square feet. 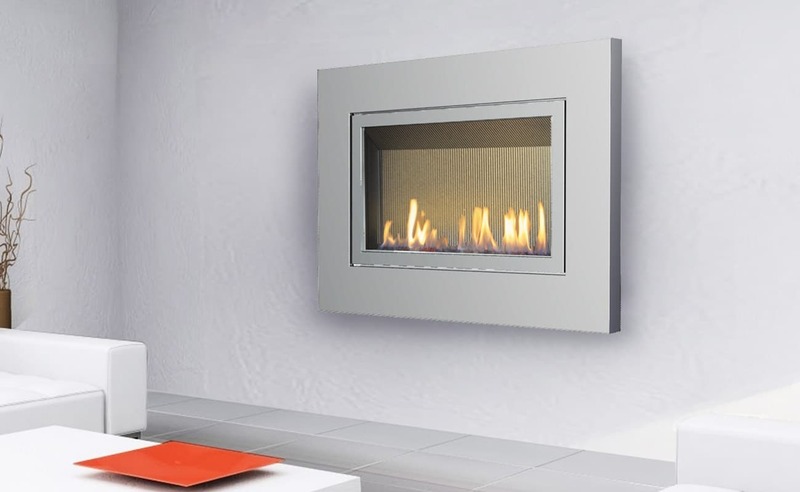 The Flatfire direct vent gas fireplace has a new landscape shape, well appointed options, and a wide window for viewing the mesmerizing fire. The media consists of black tempered glass stones (other color options possible). Installed hung flush on a decorative bracket, it is only 7 1/2″ in depth. 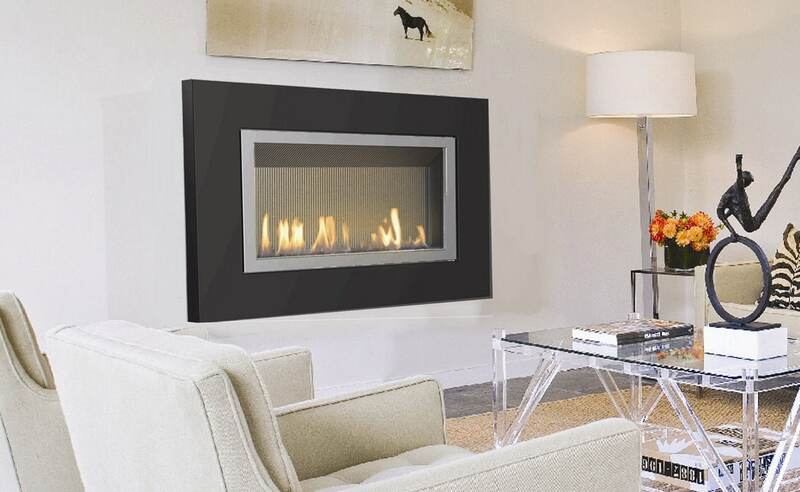 Enhance your décor and your environment with the NEW Flatfire Tree-line silhouette, a nice addition to the Wittus Flatfire gas fireplace. It’s effortless to bring a little fun into your home with this designer metal forest insert. Easy to install, this new cut-out tree adds natural character to the dancing flames of the already stylish modern fireplace. It’s even a sculpture when the fire is not burning. This simple metal tree application, which takes on a natural patina when burned for some time, enhances the environment in a creative way, and no leaf raking necessary. For those who would like to explore beyond the tree-line silhouette, custom designs are available upon request.